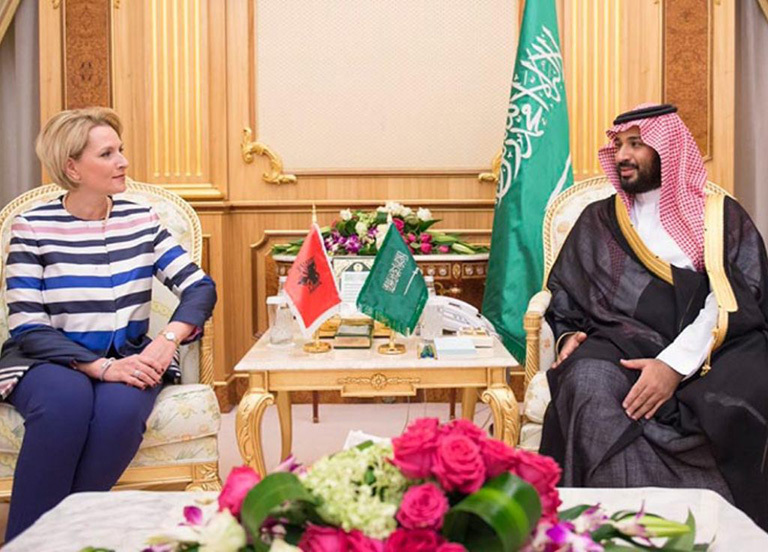 Saudi Deputy Crown Prince, Second Deputy Premier and Minister of Defense Mohammed bin Salman bin Abdulaziz, met in Riyadh with Albanian Minister of Defense Mimi Kothili, who is currently visiting Saudi Arabia. According to the Saudi Press Agency (SPA), talks during the meeting focused on bilateral relations, particularly defense ties, ways of enhancing them and a number of issues of mutual concern. Meanwhile, Dr. Abdullatif bin Rashid Al-Zayani, Secretary General of the Gulf Cooperation Council (GCC), received US Assistant Secretary for Arms Control, Verification and Compliance Frank A. Rose and the accompanying delegation in Riyadh. The meeting focused on the GCC–US relations in the military fields and ways of bolstering joint ties within the framework of the strategic partnership binding the two sides, Bahrain News Agency (BNA) reported. On another development, the Kingdom of Saudi Arabia strongly condemned the attack on the U.S. Navy destroyer USS Mason by Houthi-Saleh militia in the Red Sea off the coast of Yemen. The Saudi Press Agency (SPA) quoted a Saudi official source as describing the attack as a terrorist act that jeopardizes international maritime (security) and a systematized attack carried out by an Iran-backed militia targeting commercial marine at the Strait of Bab el-Mandab. “This attack came after several other recent acts by the Houthi-Saleh alliance continuous breach of commitments and violations of agreement made by the Yemeni people at the National Dialogue Conference and a refusal to abide by the will of the international community and UN Security Council resolution 2216,” the source added.